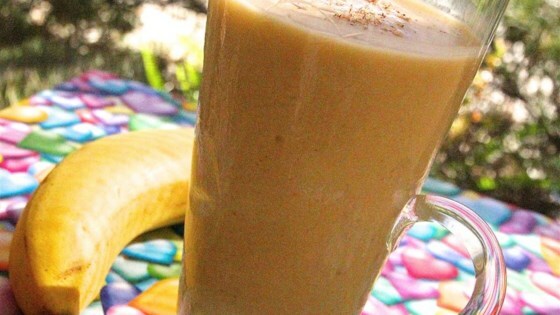 "This smoothie is healthy, delicious, and filling. Use peanut butter in place of almond butter if you don't have the almond butter." Used non-fat vanilla yogurt, freshly-squeezed OJ, TJ's cookie butter, and this was GOOD! Did add some crushed ice to reach the consistency that we like. I doubled this recipe. I used vanilla yogurt and peanut butter in place of the almond butter. Kids thought it was great. I put less honey in it because I felt that would have been too sweet. Added blueberry yogurt instead of normal yogurt, peanut butter, and ice. Tasted good! A little tangy-like,but still good! This was so refreshing, I loved it!